The highest altitutde of an adventurous attitude. Along with its ground breaking Q4 intelligent all-wheel drive system, Levante benefits from advanced active air suspension: five ride heights, six levels of capability and comfort. Combined with Maserati’s acclaimed Skyhook system, with shock absorbers featuring continuous damping variation, Levante can prioritise comfort or assume a more sporty character. Like a wave that’s been waiting to take shape, there is pure poetry in the sculpted lines of Levante. Far more than just another example of Maserati’s superb automotive design, Levante features class leading aerodynamics with standard active grill shutters and air suspension that give the vehicle an extraordinarily low drag coefficient while guaranteeing optimal engine cooling in any driving condition. 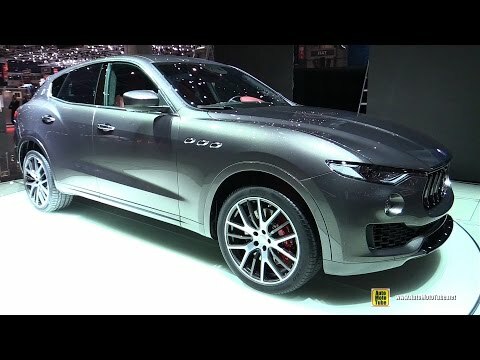 In the video to the right you can see an exterior and Interior walkaround of the new Maserati Levante, at the Geneva Motor Show. Below you can find the official Maserati Levante Video.